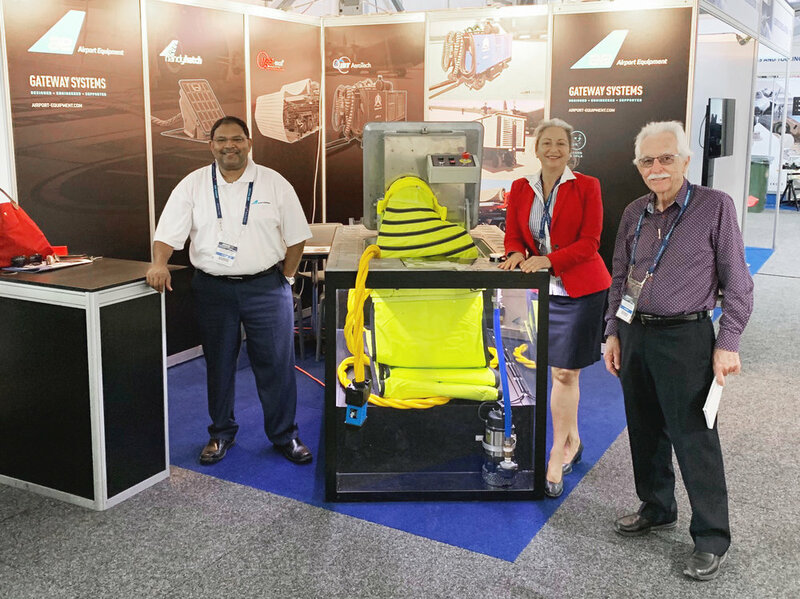 We're excited to be here at the opening AVALON 2019 - Australian International Airshow and Aerospace & Defence Exposition. Come and see us at Booth 3P26 and check out the demonstration unit of our Handy Hatch in-ground pit system. We are thrilled to see our innovative new product, Intellidock, make the news today. It is performing extremely well at Wellington Airport and we are excited to bring the technology to airports around the world. Our latest job replaced an existing castor deck table with a new custom designed heli-roller scissor deck to enhance the transfer of pallets onto an ETV machine - simplifying and speeding up operations. Airport Equipment is very proud of our self docking passenger boarding bridge solution. This provides consistent and reliable boarding bridge connections for airlines and ties into our intelligate management software for complete boarding bridge control. The video below is a fully automatic docking of a bridge initiated from the blocks on signal from the ADVGS system. We just installed this new boarding bridge at Jackson’s Airport, Papua New Guinea. Just in time for the upcoming APEC conference. Check out the installation video below. Thank you to all the team involved in this project! We've freshly installed a series of custom-built Transfer Decks at the cargo base at Auckland Airport. This project replaced the original systems with new omi-directional heli-roll decks.